Getting healthy had been a goal for Jenny Cable for a long time, but it took a potentially serious medical condition for her to finally find a way to make it a reality. 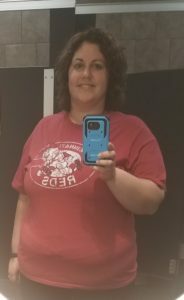 The plan finally started to take shape when, at only 33, Cable found herself taking multiple prescription medications, the result of genetics and unhealthy choices. Jenny looked at her life and found herself far from satisfied with her personal health outlook. 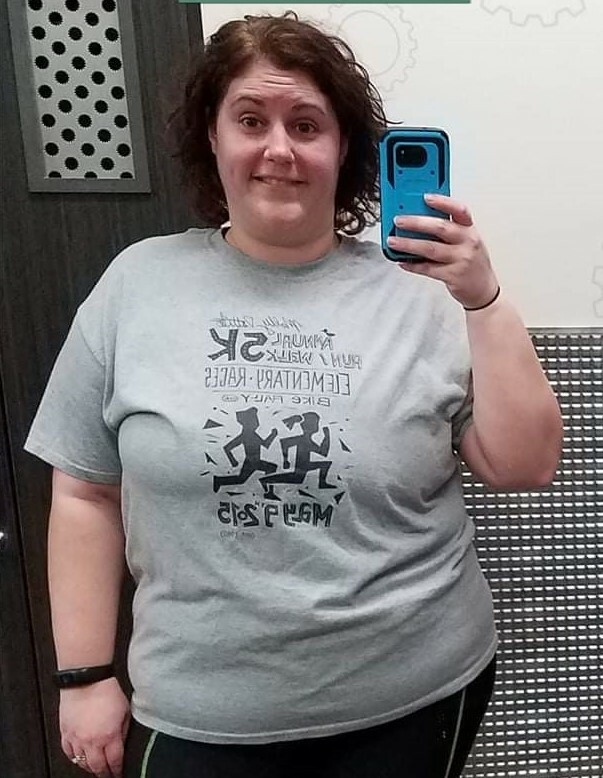 Jenny Cable, an Indiana State Personnel Department HR consultant for the Department of Child Services, has seen numerous health improvements since beginning her personal wellness journey in 2017. Giving in to that temporary sense of comfort, no matter the potentially negative health consequences, was understandable. Change is hardly ever easy, and cutting out bad habits requires a commitment that some people, quite simply, don’t want to make. At the same time, Jenny knew her health situation wasn’t going to improve by standing pat. Change needed to happen, and it needed to happen soon. That was just shy of two years ago, and though Cable describes herself as “a work in progress,” she’s seen plenty of positive results with each and every small step. Jenny’s transformation started with making small changes to her diet and coupling that with regular exercise. 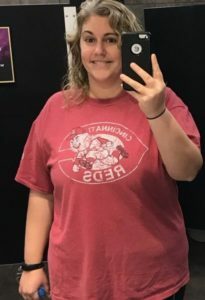 Cutting out those soft drinks (most are full of unhealthy chemicals) and adding exercise have been part of the life changes that have helped Jenny drop 50 pounds since she committed to her get-healthy regimen in early 2017. But she credits a digital lifestyle program with helping her stay focused. Working as an HR consultant through INSPD with the Indiana Department of Child Services, Cable likes to stay up-to-date on health and wellness initiatives offered to State of Indiana employees. Doing so is helpful not only for knowledge-sharing with work colleagues but also for trying out the programs on her own. Omada, which was made available at no cost to eligible employees last summer, helped keep Jenny on track. That guidance, which produces long-term positive results by encouraging small, day-to-day changes in diet and health habits, has been integral in Jenny Cable’s ongoing journey. 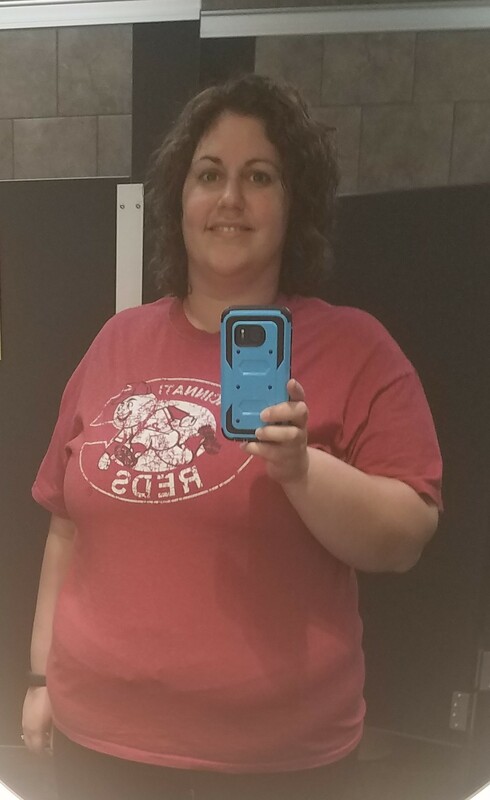 Jenny Cable took this selfie in March 2017, just prior to the start of a wellness journey that has resulted in weight loss and other health improvements. A sizable portion of her success started with even more changes at the dinner table. With the gentle nudging of her health coach, Jenny took ownership of her food selections, her exercise routine and other areas of her life she felt needed improvement. With Omada, the changes are gradual and aided all along by professionals who want users to succeed. For example, Omada users enter their food choices electronically for tracking purposes, which are then examined by a digital health coach. Goals are encouraged and health decisions that might go against one’s desired goals are met with suggestions for healthy alternatives, but never scorn. A behavioral change as seemingly minor as that can eventually produce major results, and that’s a large part of the program’s appeal. The changes, for example, can help at-risk individuals prevent type-2 diabetes and other chronic diseases. An estimated 60 percent of Americans are considered to be “at risk” for such conditions, according to Omada. Rigid adherence to unhealthy habits takes time, so asking a person to stop them all “cold turkey” is a tall order indeed. Not having to change one’s entire course abruptly can make charting a health journey a little less daunting. “You don’t have to turn the whole ship around at once,” said Jenny. Still, it’s not all smooth sailing, and navigating the rougher patches is always easier with a friend. That’s another place where the Omada wellness coach can make a difference. Jenny Cable has used Omada to stay on course throughout her two-year journey to better health. Along those lines, another suggestion that has become habit forming for Cable is label-checking. In most cases, the fewer ingredients used, the healthier the food. Now 35, Cable’s blood pressure and cholesterol are again at healthy levels. The married mother of a 12-year-old girl is perhaps most excited about the significant increase in her energy following her commitment to change. 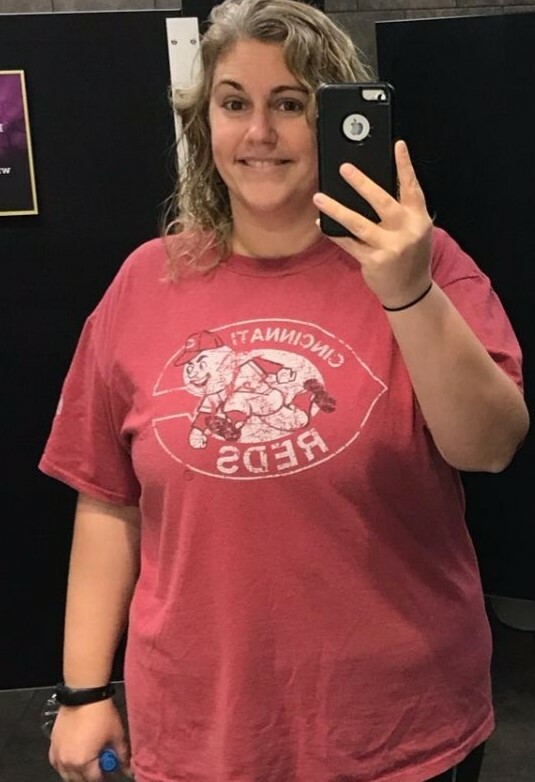 Her doctor noticed the change as well and is another member of Jenny’s cheer squad, urging her to continue on this path to wellness. Jenny Cable is now out to prove that wellness is indeed divine. She hopes to encourage others to take the next step, whether they use Omada or any of the other numerous resources available to State of Indiana employees. She, like many other state employees is learning the ropes of ActiveHealth, which is another great way to interface with a health coach. Staying on track, of course, is a must and continued advice and encouragement often lay the groundwork for success. The most important part of it all, however, is simply believing in yourself. Learn more about Omada here. For a look at health resources new to state employees in 2019, click here. Great job!! Always wonderful to hear about success stories! Way to go Jenny! You’re looking good. We need to get together for a healthy lunch next time I’m in Madison!